Gentle on skin, dermatologist-tested and non-comedogenic. 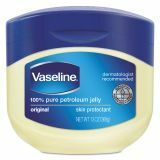 Vaseline Jelly Original, 13 oz Jar, 24/Carton - Provides dry skin relief. 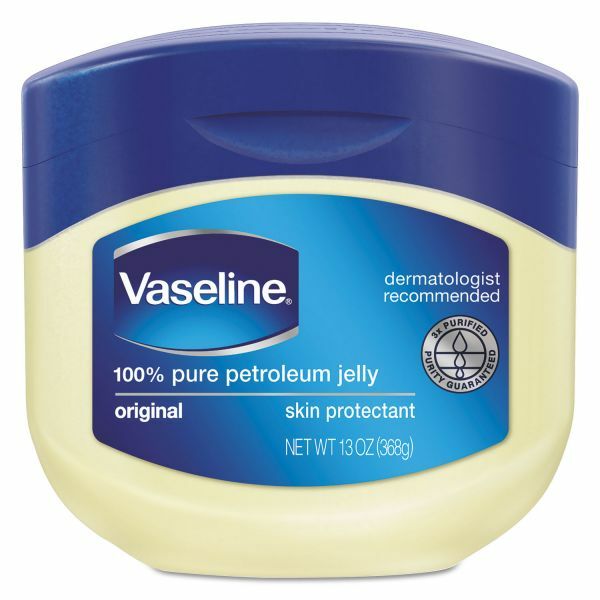 Made with pure petroleum jelly, the product is gentle on skin. Dermatologist-tested, and non-comedogenic. Helps protect minor cuts, scrapes and burns.